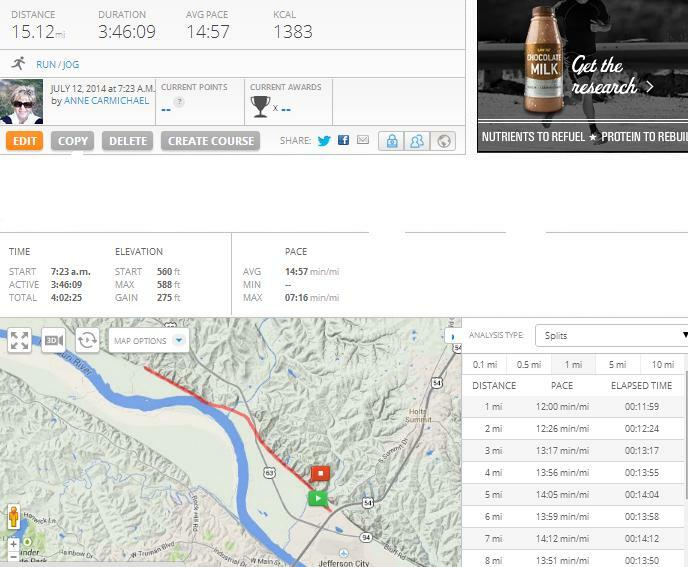 Yesterday was my long run (13 miles). It was going to be an out (6.5 miles) and back run on a flat trail that has a lot of shade (which was important because at 6:30 am already it was 81 degrees with heavy humidity). At my pace, it should have been a 2.75 hour run. I had a full bottle of water, 1 Gu pack and 2 packs of salt. I took the Gu pack at mile 5 and salt at mile 7. On mile 8 (1.5 miles after I turned around), I noticed my car key was missing. It had fallen out somewhere along the way. 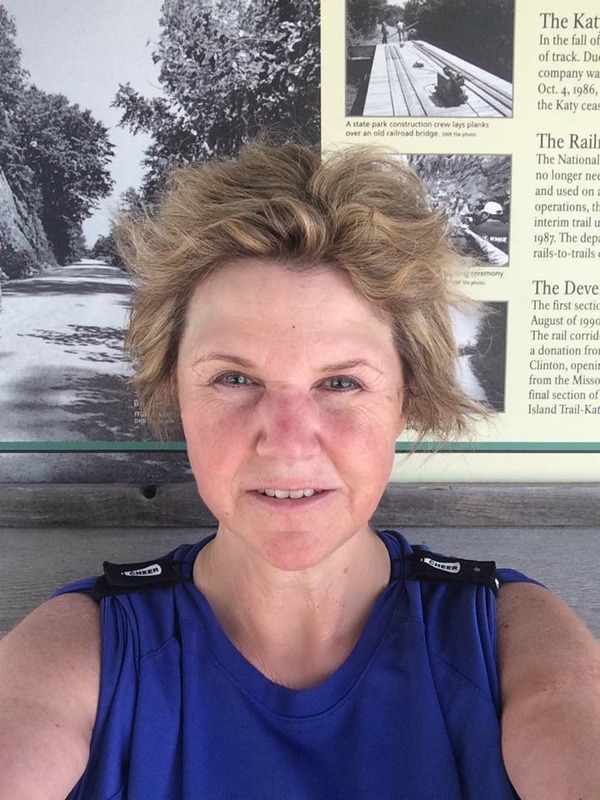 I walked back to the turn around point (1.5 miles) looking along the edges of trail and then turned around and walked another 3.5 miles on other side of trail following the path I ran on – moving weeds with a stick along the way. I called Jim who drove out to the parking lot with the spare key ready to wait there if I didn’t find it back. Through out this time I talked to a lot of cyclists too who were more than willing to help look for it. Many took down my cell phone number. I also asked St. Anthony, patron saint of lost items to help. Finally someone called me after 1.5 hours of looking and said they found it. How awesome is that??? So I recovered my key after walking/looking for it – 5 of the 13 miles. I let Jim know so he didn’t need to stay. Now I faced a different problem…Because I walked those 5 miles (3 of which were due to doubling back – at a slower pace looking in weeds for my key), I increased the time I was on the trail while the temperature continued to rise and now had another 3 miles to cover in the 90 degree heat with no more water – I ran out 2 or 3 miles back. It was a stretch to get to the 13 and after running 8 of it was very hot and tired. If this were along a city street I could stop at a gas station or call home and have someone bring me a bottle. 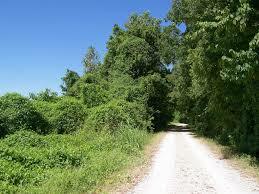 However, on the trail anyone that brings it to you has to walk or bike up to your location. It would have been too far for Jim to trek out 3 miles in that heat. There are a couple of places where the road intersects with the trail but I was so confused I didn’t know where those were from my location or how to tell someone to get to them. My only recourse was to stop the cyclists who were the only people on the trail at this point and ask for water. They reciprocated and filled my bottle as much as they could. I drank it all. I could tell already that I was getting over-heated. Thank goodness I accepted Paige’s offer at mile 6 to give me some of her Gatorade. She stopped by to check on me while riding her bike, as her parents were finishing their run. I really don’t like to drink that when I run because it bothers my stomach. However she added it to the water I had so it wasn’t as strong. Probably helped keep my electrolytes in check. That water was gone though maybe by mile 10 or 11. 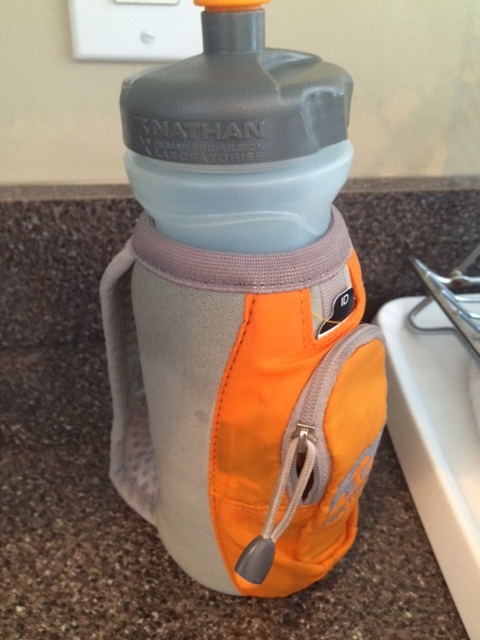 When I reached my car, I pulled out the fresh bottle of water and fruit I packed that were still really cold. I was a bit nauseous and had a pretty good headache. 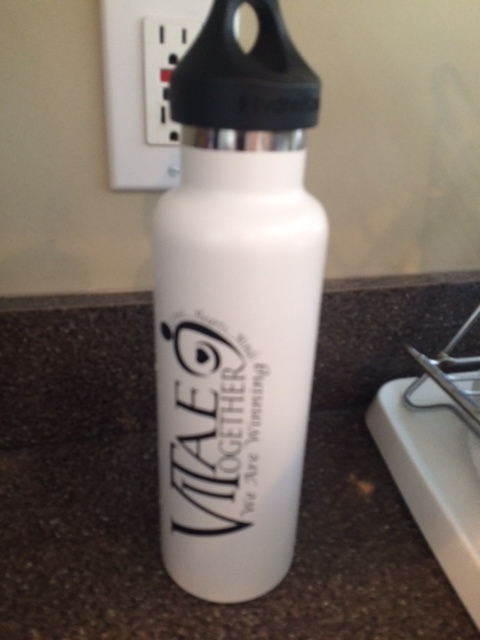 I am so glad I used this Vitae thermos instead of the bottle I usually take. That thermos kept it so cold there was still ice in it. So after finishing one I refilled it at the fountain and the ice chilled that water as well. I drank 2 full bottles had an apple and banana too. I removed my shoes and socks to help me cool down and sat there in the shade talking to people. My feet/toes were pretty sore. Everyone who showed up after being on the trail had heard of my missing key. They all were asking if I found it and if I needed anything. In the end, I did get a little over-heated and am staying inside today. I learned afterwards that someone else who ran 8 miles on the trail yesterday required an ambulance due to dehydration. If you ever think you are in trouble during a run, don’t be afraid to ask for help. It was someone else that found my key and water from the cyclists that helped me finish without incident. Below is the Map My Run stats. I turned my app off 1 mile before finishing to save my phone battery which was about to die. Click here to go to that link for info. Here is a link to Google Map of how the day unfolded from start to finish. This entry was posted in running, Training. Tagged Long run and short run, Marathon, Running. Never again… I will be more than happy to accompany you with my bike and supplies for the heat. When is your next long run? Thanks Dolores! Saturday I need to do 14 miles. Good for you, I’m so bad at asking for help, I’d probably be that person in the ambulance! But it’s a sobering thought to hear that that can happen and I will remember that if I find myself in trouble!